This ad was posted on April 12th. To contact the owner please register an account & log in. 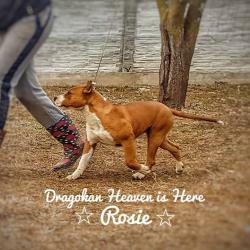 FCI registered, Dragokan kennel offer American Staffordshire Terrier young female for sale. 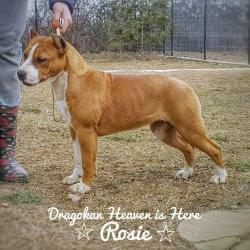 Her official name is Dragokan Heaven is Here and we call her Rosie. Healthy and ready for a forever loving home! 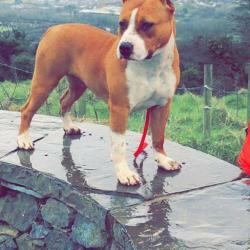 Rosie living in Ireland with other dogs. 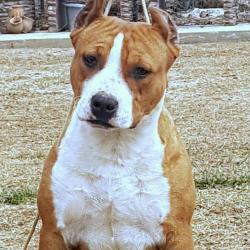 She is very friendly with other animals, but she is a little shy, perfect home for her will be a quite home, preferably in country side because she loves to walk in nature. We can show you photos, videos and live sessions all time and when you like. If you like Rosie, don’t hesitate to contact us, we are registered breeders!